Personality: Aggressive, she tends to chase cats away from her. She prefers being alone but doesn't mean she has a heart of gold. She tends to take rational decisions and tends to speak first and think about what she said later, she never thinks before she does and tends to be the opposite of that. Origins:* had a history of kitty pet and half clan. "This cat was from Shadowclan, his fur was short and white, grey splotches marking his fur. He was tall and heavy built like me but a bit smaller, this cat... this monster, had long claws and sharp teeth capable of ripping any cat or creature to shreds! This cat was named Soulfang, Soulpaw at the time, I met this tyrant as a young warrior at first glance I knew this cat was no good and the naiive cat I was I provoked him." She meowed, unaware to herself she was trembling at the thought, inhaling and exhaling a bit the she-cat continued her story. "I was given the claw marks down my eye, blinding it, that was when our rivalry started. 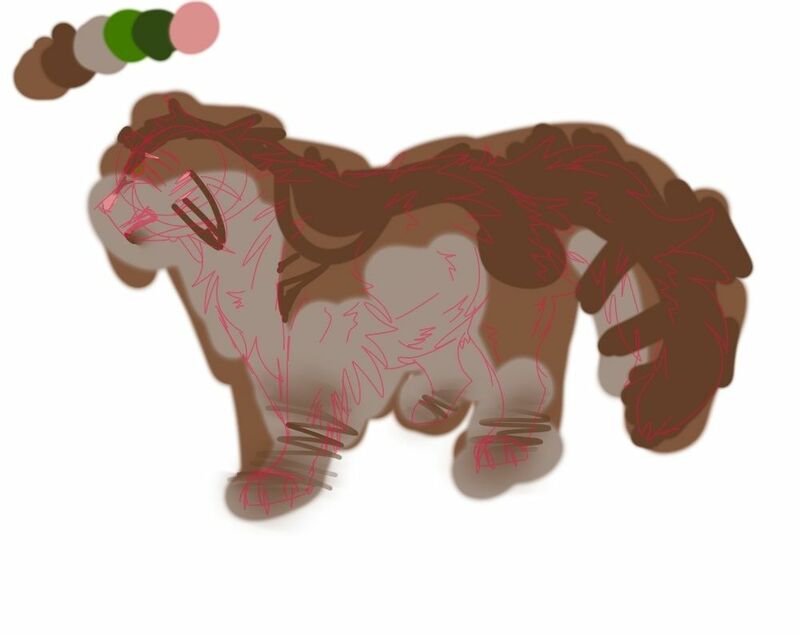 Border patrol after border patrol we would see each other and attempt to rip each other throats out until finally we organized an attack on Shadowclan, I think it was with Windclan and Riverclan since he had murdered a Riverclan warrior and abducted a Windclan apprentice. I had circled around to the back of Shadowclan camp undetected and I used the advantage of cover and brought him down in a quick and short lived battle before abducting him, we won the battle and we had held him captive... that's when..." She trailed, her claws unsheathing and digging up dirt, getting to her paws the she-cat padded towards the clearing, a few tail-lengths before the medicine cat den where a few leaves and twigs lay scattered but no signs of a fight were evident. Specklefur turned to see if the apprentice had followed, nodding to the spot she did not speak, a haunted expression marking her face as she felt herself shake at the memory. "I almost died here... Soulfang could have murdered me in the safety of Thunderclan camp. He took my ears from me, he tore open old and new wounds. I was so close that I could almost touch them, I could almost see them clearly, I was so close to loosing myself too if it hadn't been for Spottedstar, for the need to protect my clan." She meowed rather shakily, turning to look at the apprentice before suddenly shelling herself up again. "Soulfang got away a few moons or so after, I haven't seen him since and I'm glad I haven't but he must be out there.. murdering, taking advantage of and doing many unspeakable things... Littlepaw, if you ever see this cat.. a cat with sharp teeth and long claws, with ice blue eyes that could rip apart your very soul. Report him, hunt him, kill him... He is not a cat to be messed with." She warned icily, her dark green eye narrowing at the apprentice. "Understood?" She meowed, turning her body to face the apprentice with a fluid motion.